He could not walk; he could not approach Jesus on his own. Friends brought him into Jesus’ presence. They carried him. They did this in order that he might be healed, restored, brought back to fullness. The paralytic man contributed nothing to his healing; it happened because of the faith of others. As we hear these words from Matthew, we can better understand the role of the inviting and welcoming church. We might better understand those who bring infants to the waters of baptism. Babies cannot come by their own strength. The unchurched and non-believing persons shrug off the notion of worship and prayer. Such are those, infants and unbelievers, they are the ones who depend upon the faith of others in order that their sins may be forgiven. Through the faith of others, they encounter the One who overcomes sin through the power of his healing grace. Sharing faith is central to living a Christian life, for it is through the faith of others that we first came to the waters of Baptism. Through the faith of others, we encountered Christ who has forgiven our sins. Through faith, we too bring people to Christ, where sin is defeated and life is restored. 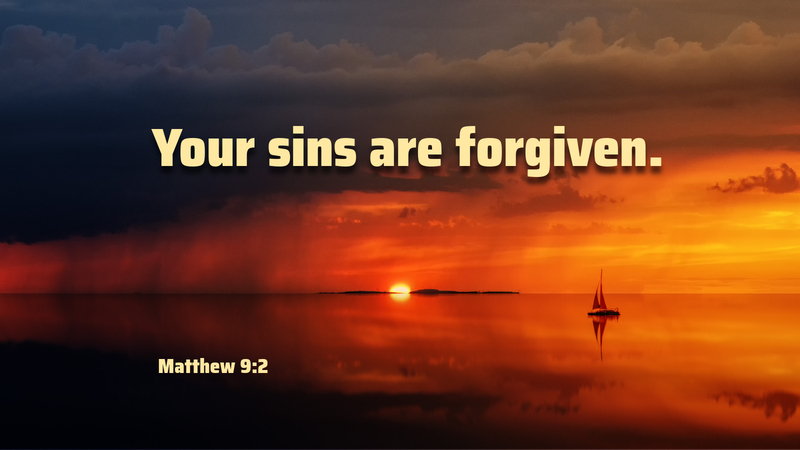 Prayer: We thank you Lord Jesus, for your healing grace that saves people from their sin. Amen.